Gee, where are these weeks going? 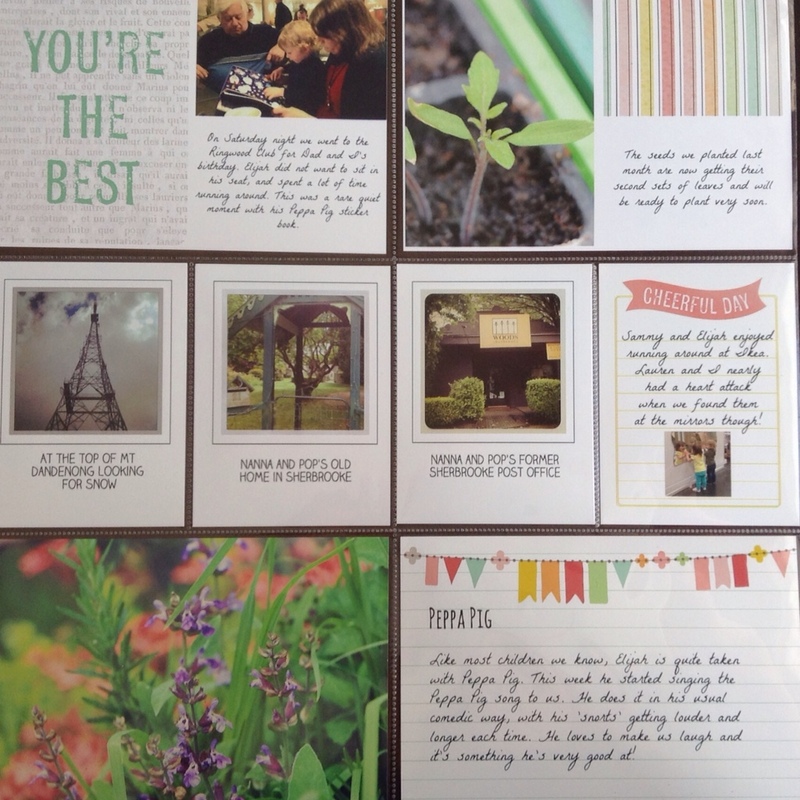 I keep falling behind with posting layouts, and freebies (Christmas ones are on their way, I promise!). 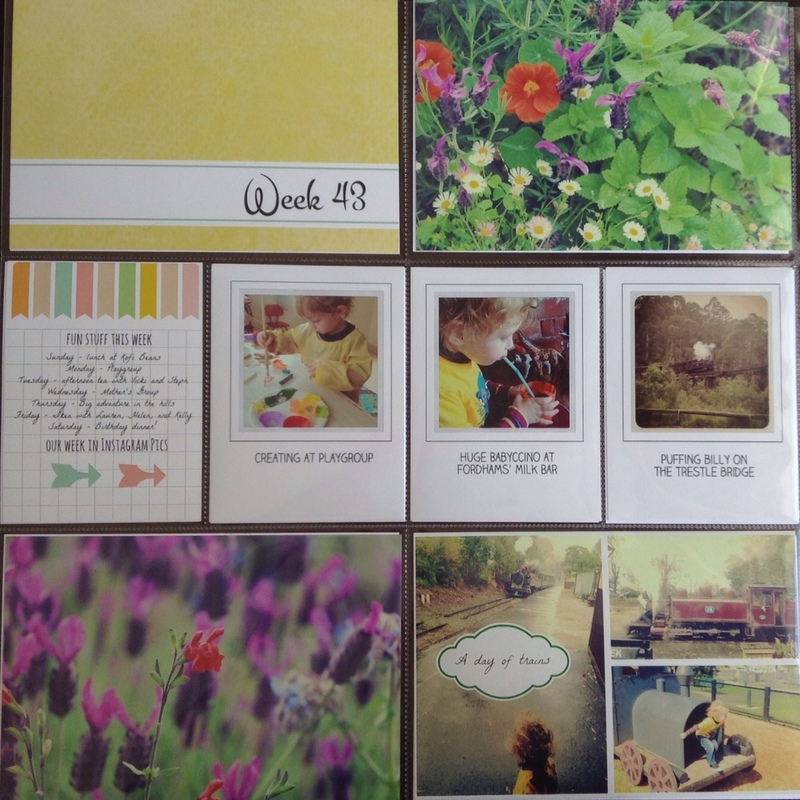 Week 43…I decided to experiment with white space this week. I used this template which I then altered to my tast by changing the font and colour. I put together most of the collages, including adding the digital cards, in PicMonkey. It's so much faster than using photoshop and the results are just as good. There is limited font choice, even with the paid version, so for Week 44 I'm going to experiment with Fotor which is another online editor/collage maker, but it uses whatever fonts are on your PC. Yay! I popped a few garden shots in this week as it's looking quite pretty in some parts. I've taken so many photos that I've decided to do end of month double page spreads just for the garden. i love the way you’ve used your instagram photos.